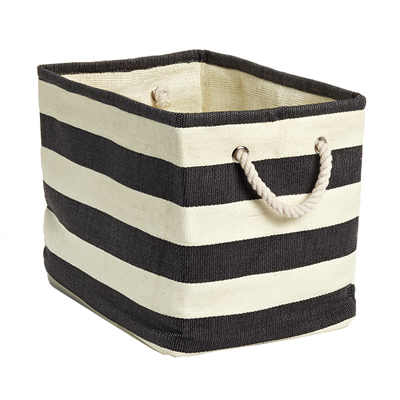 Sophisticated and stylish, the multifunctional Rugby Stripe Bins are just right for corralling books, magazines or throw blankets in the living area, throw pillows in the bedroom or rolled towels in the bathroom. Handles on each end make carrying them convenient and comfortable. $9.99-$14.99. Buy here. I think there might become a couple duplicates, but an exceedingly helpful record! I have tweeted this. Numerous thanks for sharing!